GMC is getting ready to reveal the all-new 2020 GMC Sierra HD Denali. We don’t know when it’s going to debut, but GMC has released the first teaser of the next-generation Sierra HD Denali. 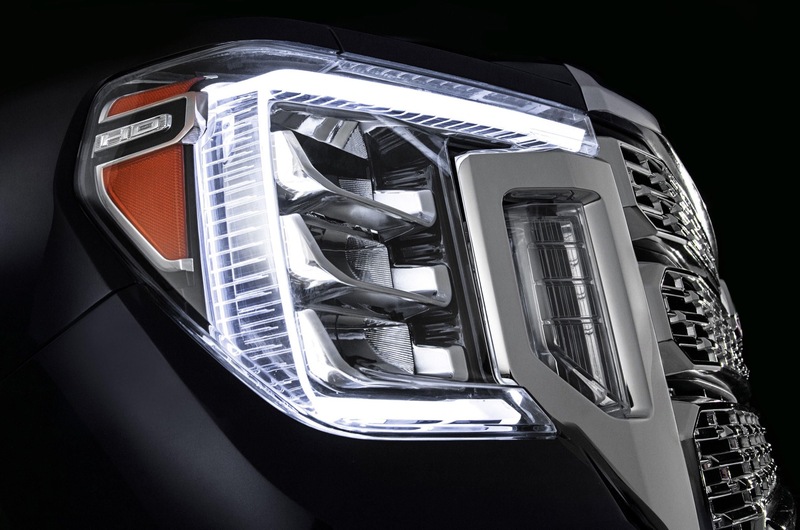 GMC is keeping the big details under wraps, but this teaser photo does give us a preview of its face. Although we can only see part of the Sierra HD’s headlight and grille, we can see that it’s face won’t differ that much from the Sierra 1500. Under the hood, the 2020 Sierra HD Denali should be offered with the same powertrains as its Chevy Silverado HD cousin, which includes the Duramax diesel engine. We’ll likely see the 2020 GMC Sierra HD debut next month at the 2019 Chicago Auto Show before it goes on sale in the second half this year. Previous articleIs this the 2020 Nissan Sentra?